When you join the team at Primal, you open the door to a variety of fun and challenging classes to keep your weekly training and workout on point…! As a member at Primal, your monthly schedule is full of classes taught by each of the dedicated trainers at Primal Athletics NY…! This includes Kickboxing, Circuit Training, TRX, Pilates, Yoga, Small Group Fitness, Boxing, SpinFusion and so much more. 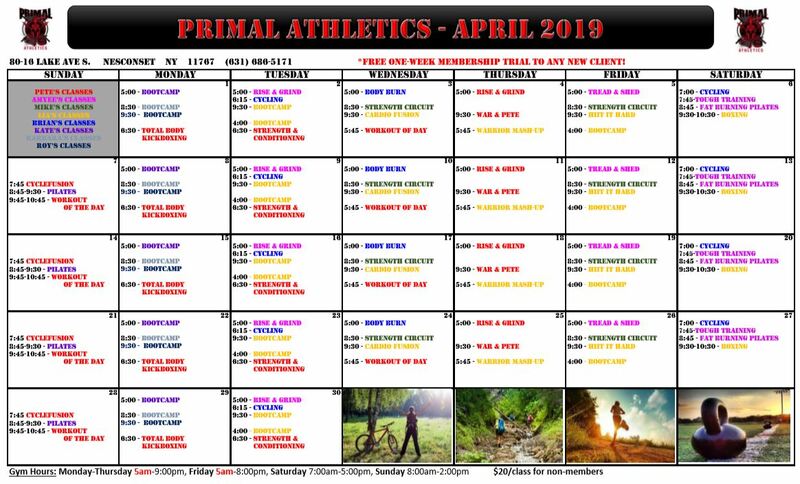 ALL CLASSES at Primal are included in your monthly membership with a few exceptions. Certain programs like the Friday Night Primal Kids & Hip Hop Wine & Wiggle are available for an additional fee per person.